The varsity volleyball team hosted Westminster on Sept. 4 in the two schools' first meeting since last year's state championship. Both teams were highly motivated, and the play reflected the rivalry. The first set was extremely close until Pace pulled away with some tough serving and timely offensive attacks. Pace took the first set 25-18. The second set started off much the same, but this time Westminster pulled away late and came out on top 25-21. In the third and deciding set, Westminster continued to execute and gain momentum, opening an 11-point lead. The Knights responded and led an emotional charge to close the gap to only 2 points before Westminster scored and closed out the match 25-22. Senior Alexandra Baker led in kills with 15, along with sophomore Hannah Pace with 16 digs. Sophomore Kalissa Greene added 25 assists. The Knights rebounded quickly for their 7 p.m. match and cruised to an easy two-set victory over Stone Mountain. On Thursday, Sept. 6, Pace traveled to Blessed Trinity to take on the six-time state champion in the first match. In the Knights' first-ever matchup against Blessed Trinity, Pace was impressive and won the first set 25-23 before coming up short in the next two sets, 15-25 and 19-25. Baker had a double-double, leading the team in kills (14) and digs (16), while Greene added an impressive 28 assists. The story was different in the second match versus Brookwood, where the Knights showed resilience and took both sets, 25-21 and 25-17. Junior Ada Jane Agolli led the Knights offensively, hitting an impressive .550 with 13 kills, followed by Baker with 12 kills. H. Pace added a team-leading 13 digs defensively. The Knights travel to Allatoona on Wednesday, Sept. 12, then face Lovett Friday and Saturday for the Lovett Block Party. The varsity cross-country teams' top seven boys and girls traveled to Carrollton on Thursday, Sept. 8, to race on the state course. The boys finished first in the 4A/5A division with junior George Adams finishing sixth with a 38-second improvement over his previous year's time. Freshman Edward Blaha finished eighth, as freshman George Blaha finished 12th. Freshman Robert Mallis was 16th, followed by junior Quill Healey in 19th place, junior Sam Adams in 20th and sophomore Robert Houser in 39th. The girls team finished third by 2 points in the 4A/5A division. Junior Paula Sandoval finished eighth with a 39-second improvement from the previous year. Sophomore Payton Payne was 14th; freshman was Kate Jonas 16th, and sophomore Kathryn Hood finished 21st with a 15-second improvement over her previous year's time. Freshman Laura Arenth finished 22nd; sophomore Laura Romig was 29th, and senior Veronica Sandoval rounded out the top seven. On Sept. 8, the junior varsity teams competed at the Covered Bridge Invitational and did an outstanding job. The boys were sixth out of 22 teams with 547 boys in the race. They were led by junior Will Stratton, freshman Grant Thompson, senior Cole Campbell, sophomore Jonny Sundermeier, senior Drew Schiffer, and freshmen Kargil Behl and Sam Howe. The girls were eighth out of 17 teams with 378 girls in the race. Freshman Jordan White stepped up and led the team with an 18th-place finish. She was followed by freshman Margo Kaye, senior Madeline Arenth, senior Blair Myers, freshman Catherine Crawford, senior Siofra Casey and junior Virginia Heiser. The teams' next meet is the Warpath Invitational on Saturday, Sept. 15, at Boling Park in Canton, Ga. Both Pace water polo teams hosted around-the-corner rival Lovett on Tuesday, Sept. 4. The AquaKnights combined for five shutout quarters between the two games. Both games had full-team participation and a tremendous effort by all, not to mention an outstanding crowd. The Pace B team led 1-0 after the first quarter and 6-1 at the half. Eighth-grader David Grice added two more, and Lovett scored one for an 8-2 final. Grice scored all eight goals in the B team win, while seventh-grader Martin Andra-Thomas had an amazing game in goal with 15 saves. This was the B team's first win of the season. The A team led 3-1 after the first quarter and went on to play three shutout quarters and add nine more goals for a final score of 12-1. Junior Harris Greenbaum was a beast in goal, with 16 saves and seven assists, moving him into first in career assists for the Knights with 86. Senior Andrew Jenkins picked up six more goals, bringing his career total to 299. On Friday night, Sept. 7, the varsity football team traveled up I-85 to take on the defending North Carolina state champions, the Charlotte Christian Knights (home of basketball wizard Stephen Curry). Unfortunately, the night came early for the Knights from Atlanta as the team lost 44-7. After Charlotte Christian took the opening kickoff 75 yards in five plays for a 7-0 lead, senior quarterback Jared Rayman engineered a 13-play, 75-yard touchdown drive of his own with a triple option quarterback keep for the tying touchdown. Senior Jack Ferguson punched in the extra point for a 7-7 tie. That was the only score the Knights could engineer in the rare out-of-state road game against a formidable North Carolina opponent. On a positive note, the offense averaged 6 yards a rush in the first half for 108 yards on 16 carries. Senior Keashawn Perryman, sophomore Justin Johnson and freshman Deuce Jordan, along with Rayman, contributed great runs to the positive ground game. There is no game this week. The Knights' next game is Homecoming on Friday, Sept. 21, versus Redan at Walsh Field. Sophomore Sydney Silverstein threw a gem for Pace on Tuesday, Sept. 6, allowing zero runs and shutting out Cedar Grove by a score of 14-0. Pace tallied six runs in the fourth inning. The offensive firepower by was led by sophomore Amalia Maxa, senior Caelan Corbally, sophomore Jaime Kornheiser, Silverstein and junior Molly Buffenberger, who each had RBIs in the inning. Junior Caroline Landis went 2-for-3 at the plate to lead in hits. 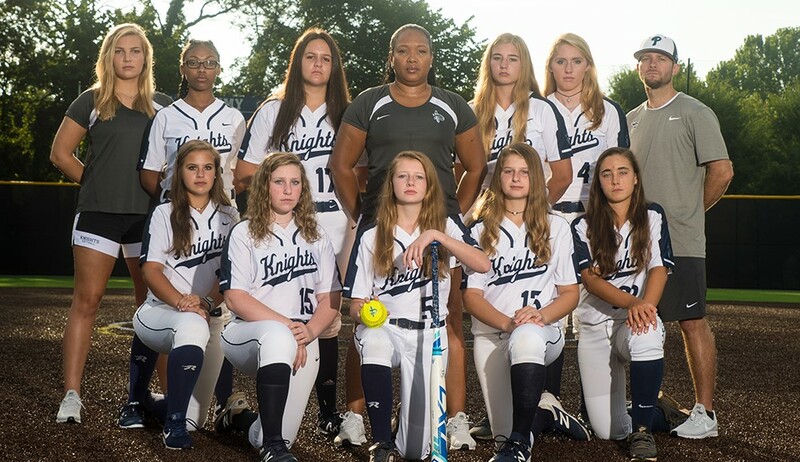 The trip on Sept. 4 to Cherokee Bluff, however, resulted in a 10-0 loss for the Knights. The team's overall record is 7-5 with a region record of 3-1. The Knights will be on the road this week against rival Westminster on Tuesday, Sept. 11, 5:30 p.m. and Mt. Vernon on Wednesday, Sept. 12, at 5 p.m.
ck ready for your content.